“Josée doesn’t just teach the language; she teaches the essence of French,” said French instructor Martine Jéhan. 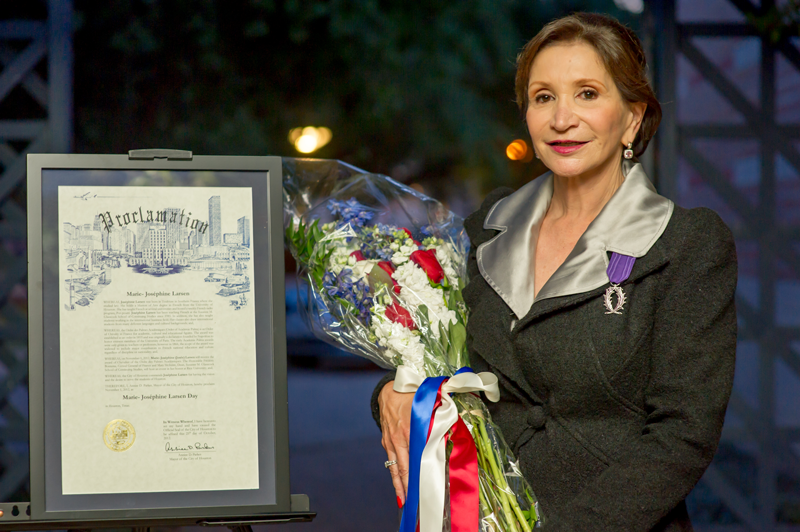 Nearly 100 guests gathered at Farnsworth Pavilion on November 1, 2012, when Marie-Joséphine (Josée) Larsen, a French instructor at the Glasscock School since 1985, was presented with the Chevalier dans l’Ordre des Palmes Académiques award. 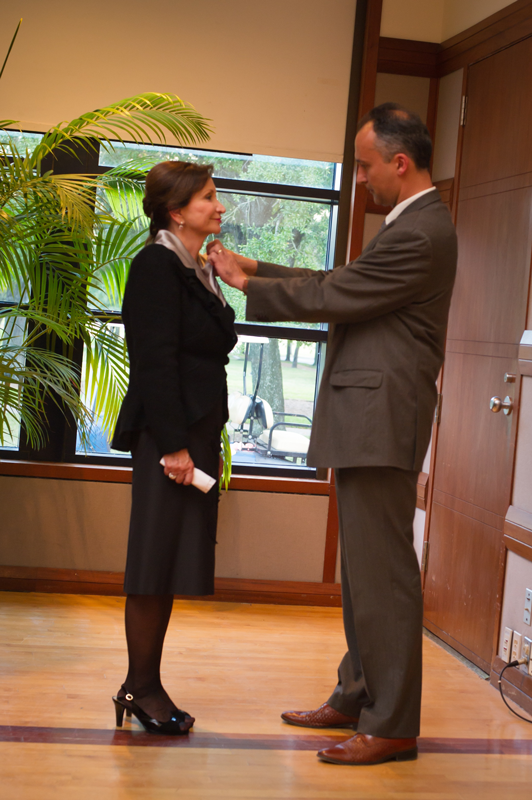 The Honorable Frédéric Bontems, Consul General of France, bestowed the award on her. This award is given to major contributors to French national education and culture regardless of discipline or nationality and to French expatriates making major contributions to the expansion of French culture throughout the rest of the world. The celebration consisted of reflections on Josée’s accomplishments by Dean Mary McIntire, President David Leebron, Susanne Glasscock and The Honorable Frédéric Bontems. Josée thanked everyone that has supported her throughout her career including both directors that she has worked with as well as past and present students and staff of the Foreign Language Program. Dean McIntire concluded the evening’s presentations by unveiling a Mayoral Proclamation naming November 1, 2012, Marie-Joséphine Larsen Day. This entry was posted in Foreign Language. Bookmark the permalink.